through me invests in the economy of Karabakh, "Lapshin said. Russian-Israeli tourism blogger Alexander Lapshin, known for his highly publicized arrest and illegal extradition from Belarus to Azerbaijan, has published a photo of himself wearing a t-shirt depicting an on-duty Artsakh soldier. “Friends, how do you like my new t-shirt? It is very special. What do you think, the soldier of which army is depicted?” Lapshin wrote on social media. The majority of social media users were quick to guess that the soldier is an Artsakhi serviceman, whose photo became widely known during the April War of 2016. Russian-Israeli blogger Alexander Lapshin, who was jailed in Azerbaijan last year for visiting Artsakh, has plans to visit Armenia. In a post on Facebook, the blogger said he intends to take part in the In Tour Expo 2018 international tourism exhibition to be held in capital city Yerevan on 20-22 April. “I am leaving for Yerevan to attend a tourism exhibition. I shall introduce my project, “Following Lapshin’s footsteps in Baku’. The program includes a flight on [Azerbaijan’s first lady] Mehriban Aliyeva’s private plane, all inclusive rest at Kurdahan prison [a penitentiary in Azerbaijan], as well as at the Baku Court of Grave Crimes. The price of the tour is contractual,” reads the post. “I’m kidding. In reality, I am going to speak about my travels during the expo. It will be interesting, you are welcome,” he added. 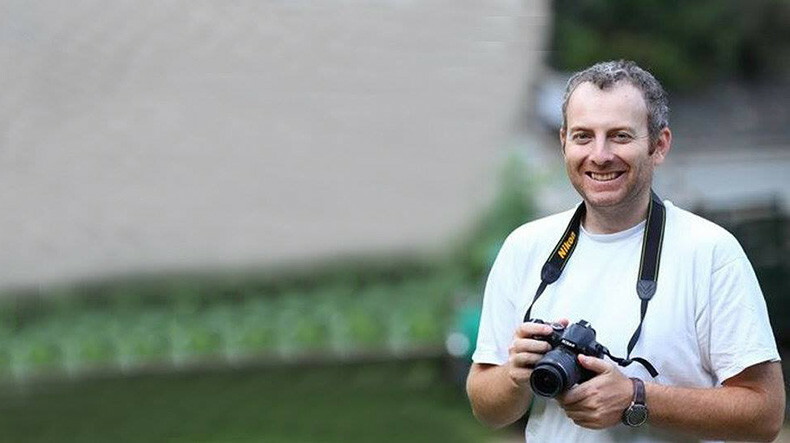 Travel blogger Alexander Lapshin, who was sentenced to three years behind bars in Azerbaijan, was released on 12 September, after being pardoned by Azerbaijani President Ilham Aliyev. Lapshin was sentenced by the Baku court on grave crimes on July 20, 2017 over his visit to Nagorno-Karabakh. The blogger was detained in the Belarusian capital of Minsk in December 2016 at Baku’s request. He was flown to Baku on February 7 and handed over to the Azerbaijani State Security Service. The extradition and persecution against Lapshin was widely slammed by international community as a gross violation of human rights and fundamental freedoms of speech and movement. YEREVAN, January 22. /ARKA/. A Russian-Israeli tourism blogger Alexander Lapshin spoke today about his imprisonment in Azerbaijan, the status of his case against Azerbaijan in the European Court of Human Rights and his vision of a solution to the Karabakh conflict. Alexander Lapshin was arrested in Belarus at the request of Azerbaijani law-enforcement bodies and was extradited to Azerbaijan to serve a 3 year prison term for visiting Artsakh (Nagorno-Karabakh) “without Azerbaijani authorization”. A Baku court sentenced him to 3 years in prison in 2017 summer. But few months later he was pardoned by president of Azerbaijan Ilham Aliyev. 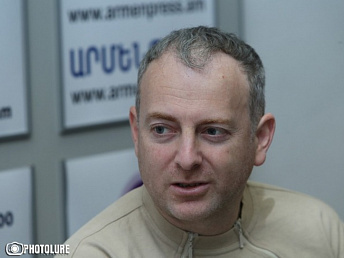 "The main external enemy for them (Azerbaijani leadership) is Armenia, and I think that they don’t need Karabakh so much; I think they don’t need it at all, what they need is a frozen conflict in order to explain the terrible corruption and lawlessness to blame it on Armenia," Lapshin told a news conference in Yerevan. He said with the colossal oil revenues the country lives much worse than Armenia. ‘One shouldn’t underestimate the Azerbaijani people, who, although they live in dictatorship, have a lot of intelligent and reasonable people who want to live in a free country. They saw what happened in Armenia last April and I think they want it to happen in their country as well,," said Lapshin. In his opinion, a paradoxical situation is being created, which may lead to changes in the next few years, but the question is how much it will be in the interests of Armenia. "Whoever Aliyev is, he is predictable and not dangerous for Armenia and he is comfortable for Russia. Those people who will replace him are either competing clans or the opposition," said Lapshin. According to him, the Azerbaijani society is ready for peace, but the leadership of Azerbaijan is not, because peace with Armenia will lead to the fall of the Aliyev regime, and they understand it.